Many older homes begin to experience leaning chimneys. A leaning chimney is pulled away from the home, tilting to one side in a dangerous way. Another common lean for chimneys is when they are situated at the top of your home and the brick leans to one side as if it will fall on your roof. Leaning chimneys can be unsafe and unsightly. Oftentimes, homeowners try to fix this problem themselves and end up making the problem worse. 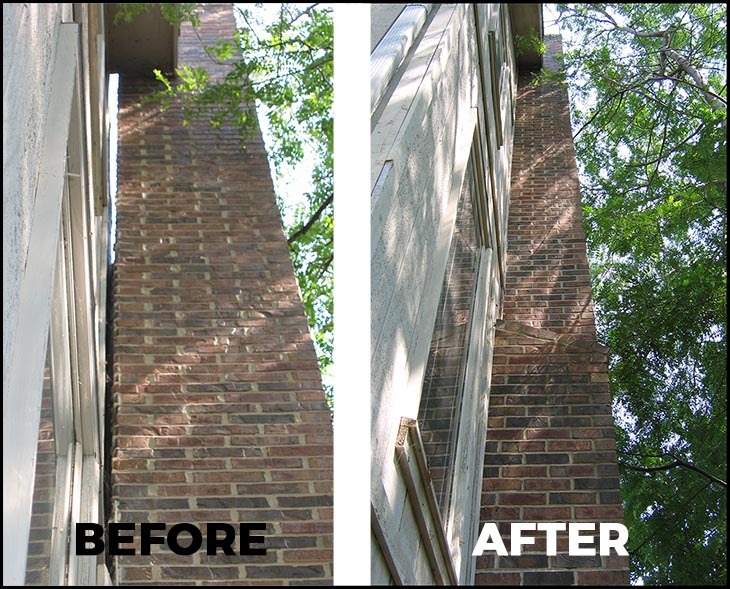 Homeowners often make the mistake of strapping a masonry chimney to their home to correct the already leaning chimney, though this is incredibly ineffective. The weight of a chimney is too heavy for this, and the damage you’ll cause to your chimney will be greater than the damage a leaning chimney can cause. Professional repairs are needed for leaning chimneys that threaten collapse. How do you repair a leaning chimney? 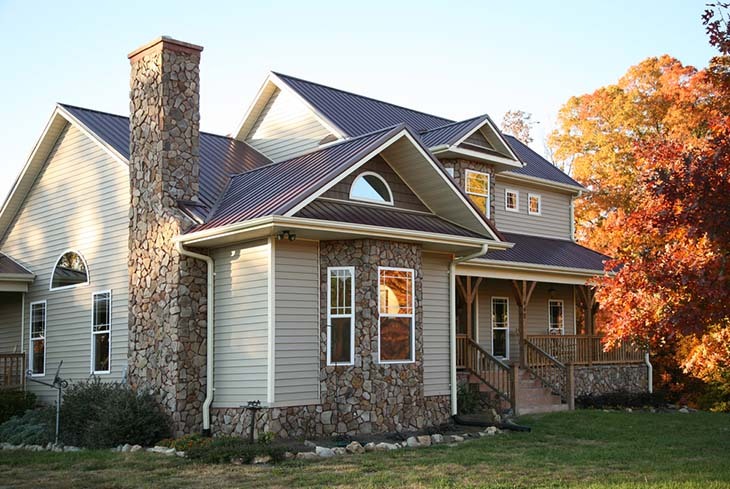 Simply filling in the space between your home and the leaning chimney will not fix the problem. Whether you’re using foam, caulk, or masonry, this is not the way to correct the problem. The only correct way to repair a leaning chimney is to stabilize it. At KC Pro, we use only the highest quality ECP helical piers. These helical piers are driven into the ground, creating a stable structure for your chimney to balance on. Poor soil compaction or erosion can damage the ground your chimney is balanced on, causing it to lean to lean or even collapse. Helical piers and tiebacks are used to stabilize the structure and keep soil erosion from causing harm to your chimney. When you have the helical piers placed in the ground we then attach the bracket and mount it on the footing of the chimney’s foundation. KC Pro’s efficient, professional crews will work to correct your tilting chimney. Give us a call today.